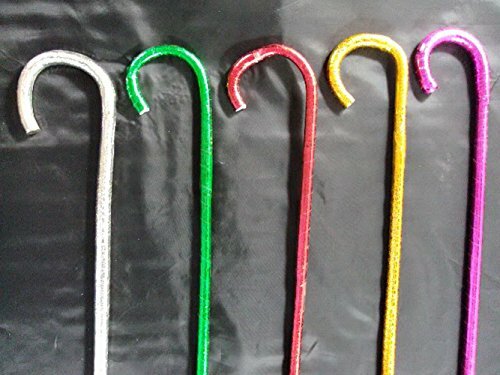 This canes come usually in many colors ( pls choose the colors you like ) -very professional handmade that will add charming to your dancing. Made of very soft materials to help in flexible -movement during dancing. HANDCRAFTED IN EGYPT!!! -OUR ITEMS ARE 100% HANDMADE BY HIGHLY -SKILLFUL CRAFTSMEN IN EGYPT!! This is one gorgeous piece! This handmade belly dance canes look great with all Belly Dance costumes ! Color : many colors (PLS LEAVE US A NOTE WITH -YOUR FAVORITE COLORS) or you will receive a -random selection. An exciting blend of tradition and trend embellished in traditional ethnic design. If you have any questions about this product by bonballoon, contact us by completing and submitting the form below. If you are looking for a specif part number, please include it with your message.